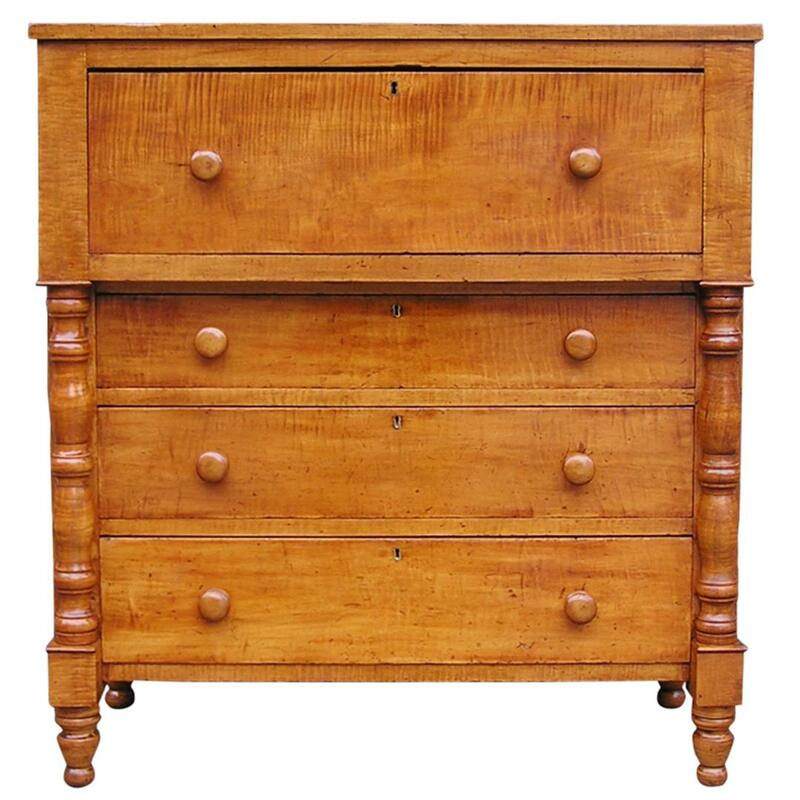 American Tiger maple and Cherry fall front chest with interior fitted desk, turned bulbous columns, graduated drawers, original wooden knobs, and terminating on original turned bulbous feet. Circa 1820. Dealers please call for trade price. American Tiger maple and Cherry fall front chest with interior fitted desk, turned bulbous columns, graduated drawers, original wooden knobs, and terminating on original turned bulbous feet. Dealers please call for trade price.